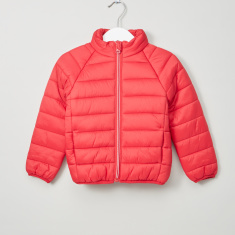 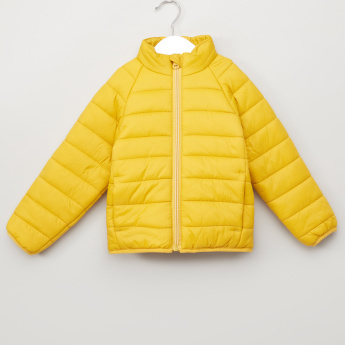 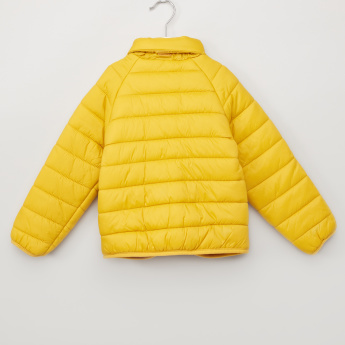 Upgrade your little one's wardrobe with this jacket that has raglan sleeves and is padded to provide utmost comfort. 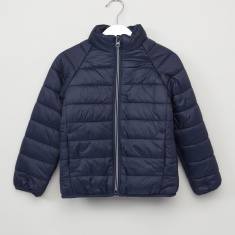 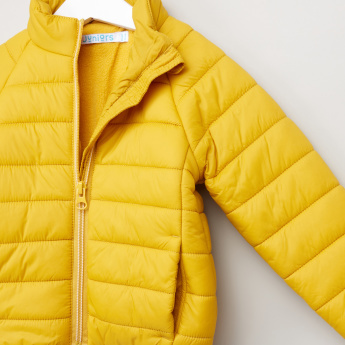 The jacket is fitted with a zip closure offering a snug fit. 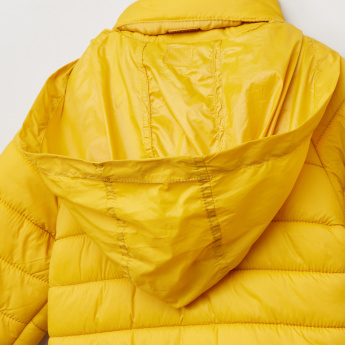 Moreover, the pocket detail and hood add to the overall appeal of the jacket.